Here is the fourth in this special series of Guest Posts by readers keen to share their book stories here at The Book Chook. Read the first at A Book That Impacted My Life - Kelly Burstow, the second at A Book That Impacted My Life - Virginia Lowe, the third in A Book That Impacted My Life - Hazel Edwards, and the fourth at A Book That Impacted My Life - Caz Makepeace. If you're interested in submitting an article about a children's book that has had an impact on your life, please use the Contact Me tab above. Today's article is from Vanessa Carnevale. Vanessa Carnevale is an author and mother of two. Vanessa blogs at www.vanessacarnevale.com. 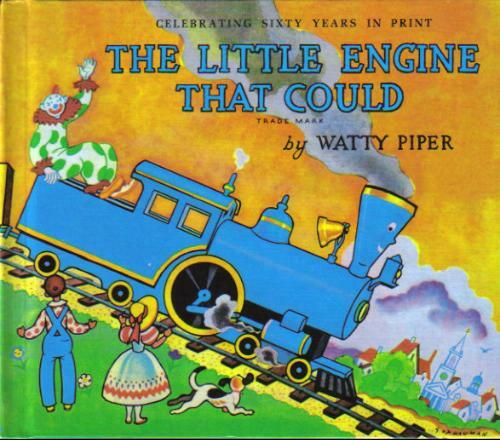 One of our favourite stories is that of The Little Engine That Could by Watty Piper. 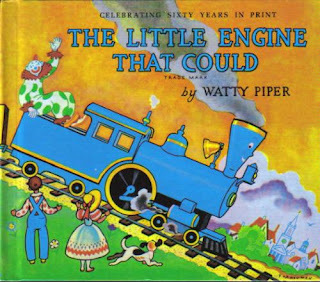 The underlying message of optimism in this classic story of a brave and determined little engine that pulls a long train over a mountain, when all the other trains refuse, is one we can easily transfer into everyday life. Those strong words of “I think I can... I think I can...” have become a motto in our household that we apply to many things such as learning to read new words, maths problems, or areas where we’re pushing new boundaries. As adults, we too can struggle with confidence and self-doubt. I’ve learnt that in order for me to be able to authentically teach my children optimism, self-belief and confidence then I need to practice these things myself. This is especially true as it relates to my own ambitions as an aspiring children’s author. As parents we need to give ourselves credit for the good we do and we need to remind ourselves that we can achieve wonderful things in life too. We just have to believe in ourselves. Often my children ask me when are my stories going to become books. When I answer that I’m not quite sure, but I love writing, they reply “I think I can... I think I can...” It’s very sweet, but is also an important reminder to me of how important an optimistic mindset is.